What if you had a board of directors for your business or your life? ​What if you never had to handle an issue alone again? What if your results went through the roof? Mastery over your "limited beliefs and thinking"
"The Sage Group has helped me stay focused on my goals and to stay on course of making what matters most to me happen." 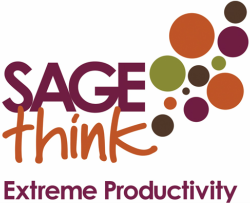 "The Sage Group serves as an additional support and accountability resource in my life and I receive invaluable input from Patti and the members of my SAGE group. It's definitely SAGE advice!" "Being a member of a Sage Group has given me support in pursuing my goals because of the following: hearing how others are working toward their goals and learning techniques they are using; being supported by encouragement and validation from members; learning interventions suggested by Patti that cut to the chase during the group meeting; receiving Sage emails with ongoing tips and suggested resources that address how to breakthrough blocks to success."